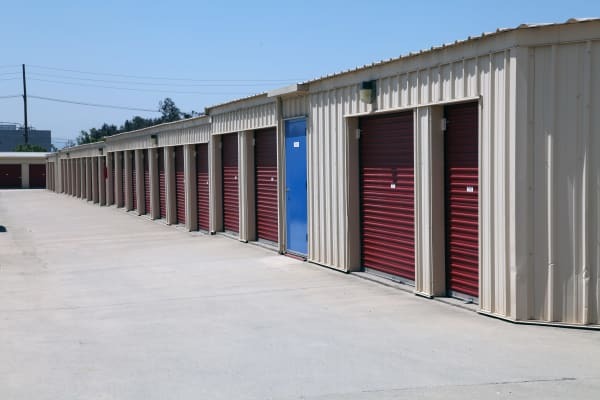 At Trojan Storage, we rent self storage units in Rancho Cucamonga, CA, at our modern facility. Choose from self storage units that vary in sizes to best match your self storage needs. Our traditional options can be used for personal or business storage. Whether you run an e-commerce business and need a place to store extra inventory or you are transitioning to a new home, we have the right-sized storage unit to fit within your budget. Trojan Storage offers storage units for rent in a clean, modern facility near Rochester. Your experience is streamlined with drive-up access to our ground-level storage facility. In addition to traditional storage units, we offer RV and boat storage. Relax and enjoy the peace of mind from knowing that your unit is individually alarmed with 24-hour security monitoring. With online bill payment options, you’ll be able to easily manage your storage unit rental from anywhere. We have what you need for streamlined, convenient storage in Rancho Cucamonga, CA. Call our knowledgeable management team to get your questions answered and reserve your unit today.